Swedish startup Karma buys leftover food from restaurants, cafes and grocery stores and sells it to hungry customers looking for a half-price meal. "Being able to make a profit from solving a problem while creating value for both restaurants and consumers makes this a fantastic opportunity to build a business where you don't have to choose between cause or profits," Karma CEO Hjalmar Ståhlberg Nordegren told Forbes in a profile published Tuesday. Ståhlberg Nordegren founded Karma in Sweden in 2016 with three friends— Elsa Bernadotte, Mattis Larsson and Ludvig Berling. Initially, Forbes contributor Alison Coleman reported, the restaurants were hesitant to admit that they wasted food, or to believe that there could still be profit in the food they did discard. But the founders spent time talking to store and restaurant owners to understand how to pitch the idea from their perspective, and many have since come around. 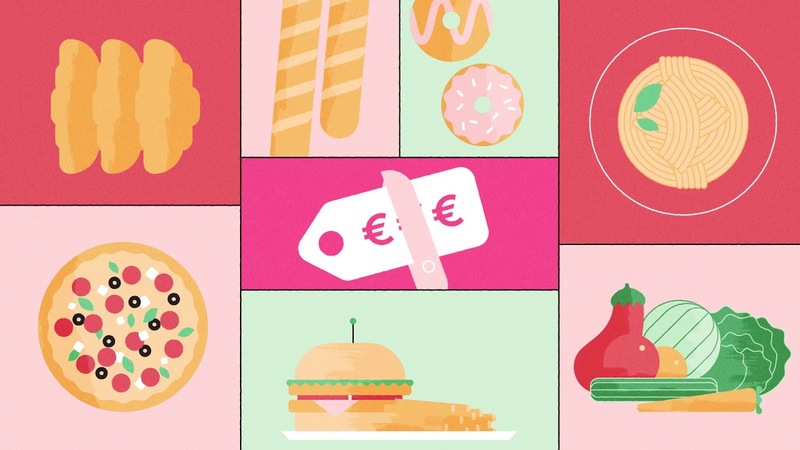 Karma estimates that participating restaurants can make an extra €50,000 a year. The app works with more than 1,500 businesses to provide discounted food to more than 350,000 users, among them three of Sweden's largest grocery stores. It is available in more than 150 Swedish cities and also expanded to London in February, where it now works with more than 400 restaurants. Bernadotte told The Evening Standard in February that moving to London was an important test case of the app's international appeal. "The food waste problem here is huge as well—much bigger because it's a bigger country," she told The Evening Standard. "We also think London is a great fit because it has one of the best food scenes in the world, a high number of restaurants and retailers who care about sustainability, as well as a population that is both environmentally conscious and digitally native." London restaurants Aubaine, Michelin-starred Aquavit, vegetarian restaurant Tibits, Yamabahce, Magpie, Essence Cuisine, Calcutta Street, Hummus Bros, Detox Kitchen and Arkett were early participants. For diners in other countries eager to save money and the planet, there is good news. Karma announced August 15 that it had raised $12 million in investments that it intended to use to grow its staff, expand within supermarkets and spread internationally, beginning in Europe. The company currently has a staff of 35 in Stockholm and aims to have a staff of more than 100 in five markets by the end of 2019 and a staff of more than 150 by 2020.